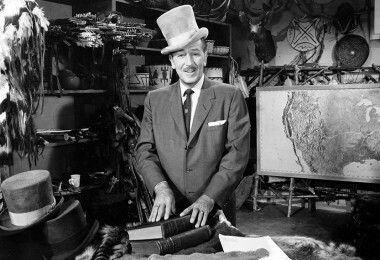 While not a musician himself, Walt Disney instinctively recognized the appeal of rhythm from his earliest filmmaking days—even before pictures learned to talk. Beat, meter, patterns, and cycles created visual harmonics onscreen in much the same way that poetry can be said to communicate the musicality of words without the addition of melody. 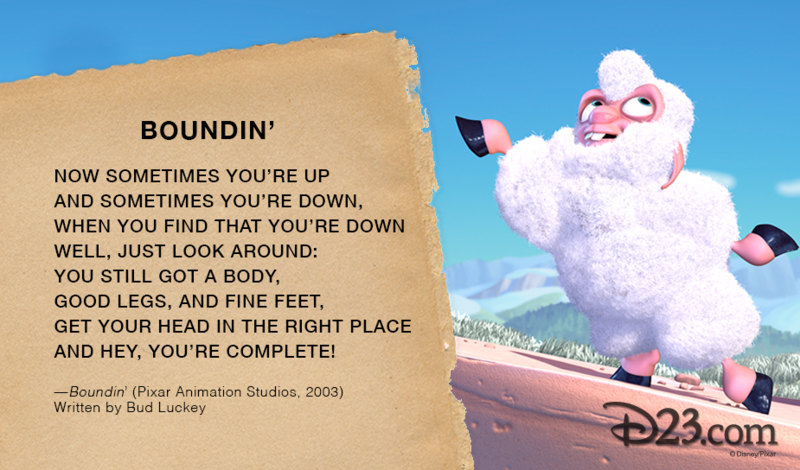 Therefore, it isn’t surprising that a great many poems have rhymed their way into Disney history. 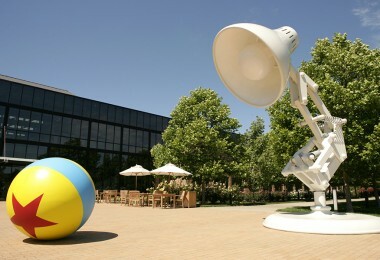 How many can trace their first exposure to classical poetry to a Disney film? 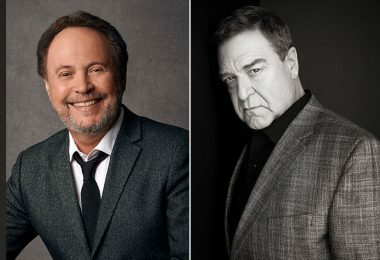 The answer might be surprising. Many historic works were quoted, visualized—and occasionally lampooned. 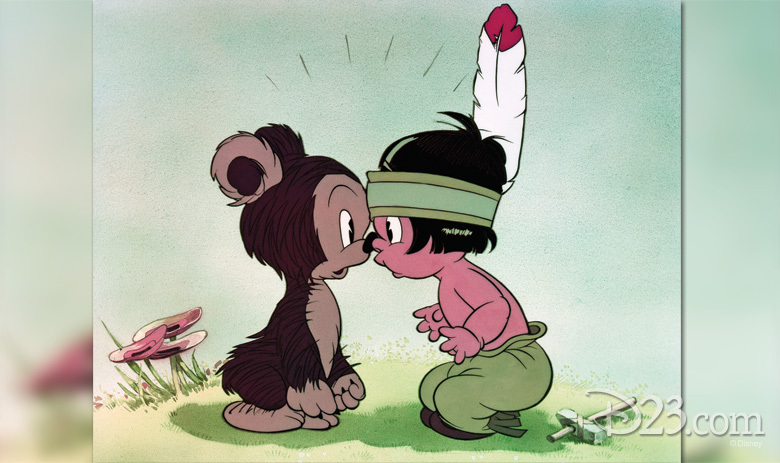 Though Walt explored producing a feature based on Longfellow’s “The Song of Hiawatha,” the 1855 epic was given an affectionate wink with 1937’s Silly Symphony Little Hiawatha. 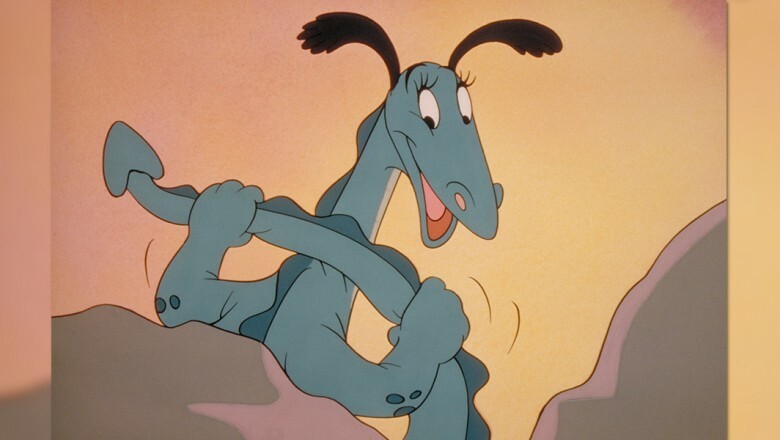 The winks broadened when “Casey at the Bat: A Ballad of the Republic Sung in the Year 1888” by Ernest Thayer appeared in Make Mine Music (1946). 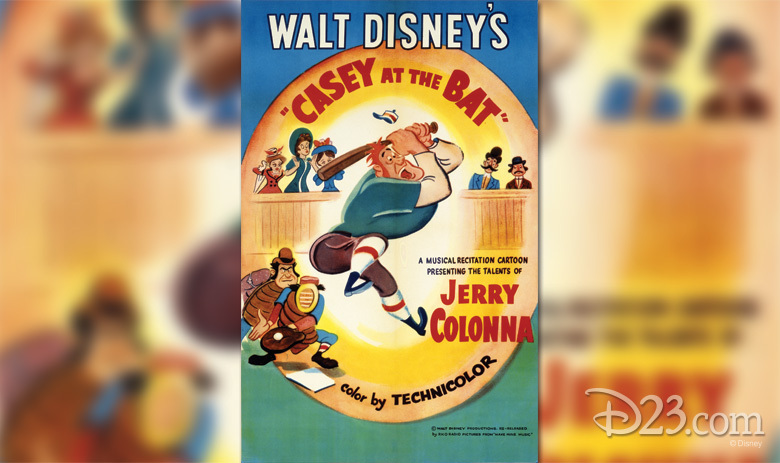 Jerry Colonna delivered the baseball recitation with manic gusto, ending with “But there is no joy in Mudville—mighty Casey has struck out!” In 1954 the Disney story team gave Casey another chance, although the real “hero” of the parody poem “Casey Bats Again” is “Mighty Patsy,” one of Casey’s nine daughters! The Burbank bards continued that year as another Disney release, the Oscar®-nominated Pigs Is Pigs, transformed Ellis Parker Butler’s 1905 short story of guinea pigs and muddled freight rates into vivid verse. In Alice in Wonderland (1951), schoolgirl Alice attempts to quote Isaac Watts’ Victorian ode to diligence, “How Doth the Little Busy Bee,” but it unsurprisingly metamorphoses into Lewis Carroll’s own sly and slightly sinister send-up from 1865, “How Doth the Little Crocodile.” John Townsend Trowbridge’s 1910 “Darius Green and His Flying Machine” told of a modern-day Icarus and his lofty ambitions. 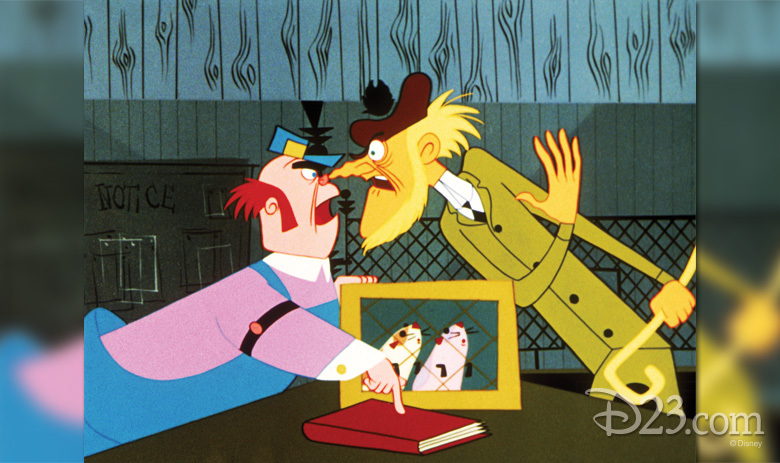 Not only does the poem appear in the 1965 Disney comedy The Monkey’s Uncle, but it inspired the entire second half of the screenplay! 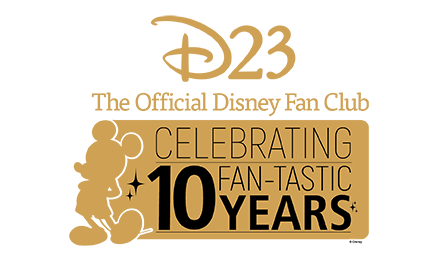 The custom-illustrated book of the poem seen by Tommy Kirk and Annette in the film is today housed in the Walt Disney Archives. 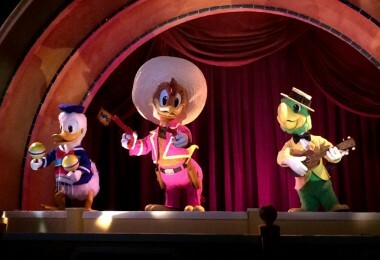 Limerick or haiku, epic cycle or catchphrase, the art of poetry is alive and well within the Disney world. 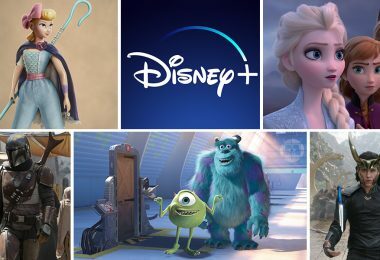 Creative wordplay will always be music to the ears of Disney fans… and a way to “sing” even when the orchestra has left the building. 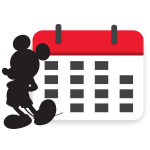 To celebrate National Poetry Month April 2016, we’ll be updating this post with Disney poetry shareables! Check back each week in April for a new poem. 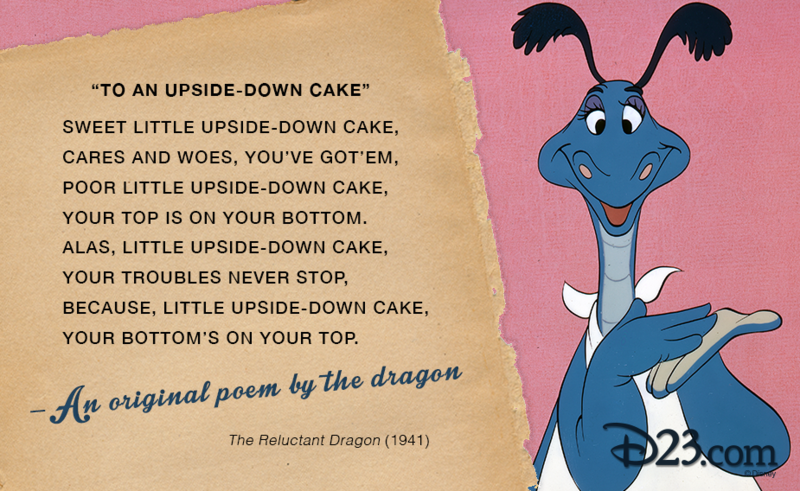 “To An Upside-Down Cake” – An original poem by the dragon (The Reluctant Dragon 1941) – Click here to download. 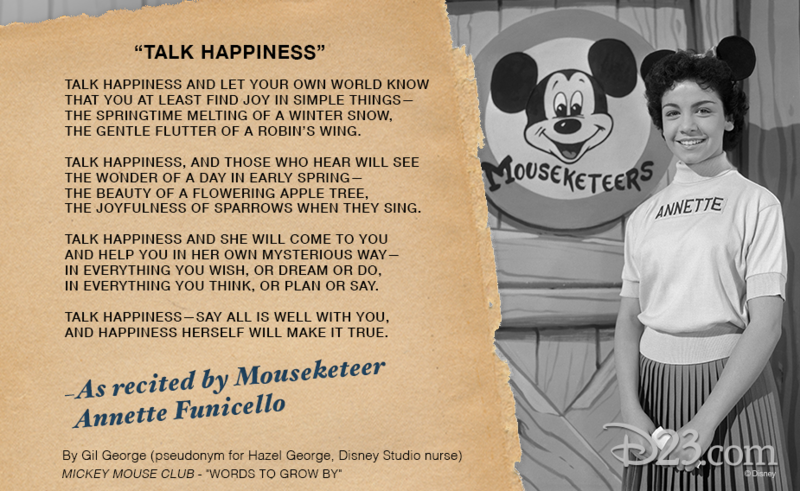 “Talk Happiness” – As recited by Mouseketeer Annette Funicello – Click here to download. Boundin’ – Written by Bud Luckey – Click here to download. 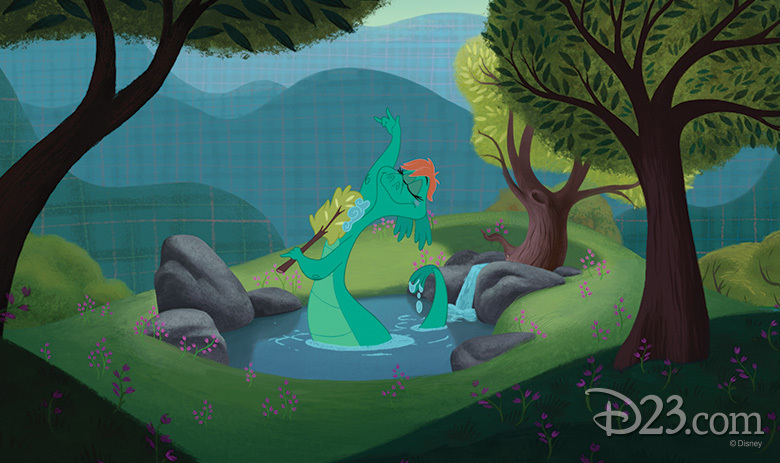 “How Doth the Little Crocodile” – Lewis Carroll, as recited by the Caterpillar in Walt Disney’s Alice in Wonderland (1951) – Click here to download.